@Etherealms why 10+, if there an problem show me ? Very nice result. Is it still stable? Can you please provide an overview of how you modified the BIOS? The real question is what is the hashes per watt. That to me is the most important factor. @chinpow Nice work! If that stays stable for a day or 2 you are golden. I got my MSI RX 480 Gaming X 4Gb to 31.9 Mh/s and gpu-z shows ~110W. can u share the bios /. @cabslock Yes, please share your BIOS my friend! Tried to flash my cards but i get Error Code 41 all the time. Does anyone has a solution? This is the rom I have on my card. If it helps you, then any donation will be welcomed. @Spacket do you have flash your card the same the video i share ? Why you have 637 shares on 30hr? @ccacciavillan is it good or not 637 shares on 30 h ? I dont understznd your question ? 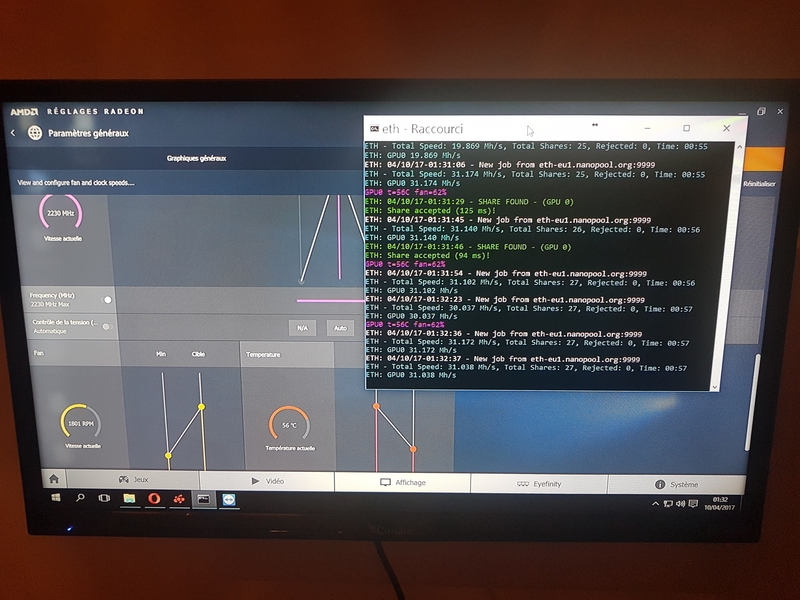 Did try it with the radeon rx480 8 gig gaming put the bios 1750 on 2000 and The memory speed to 2200 but after 2 hours the card crashes then i put the card on 2150 it also crashes but after 5 hours it runs at 28,6 mh/s so next step is running it at 2100 but the hash rate goes to 27,6 mh/s What can i do to make it better. @chinpow if u want to answer... How much money do you make per day? I make 300 shares per hour and i got 0.25 eth, average at day. I'm using six Msi Rx 480 Gaming X. Or if anyone knows: Have some relationship the qty of shares in the final balance? 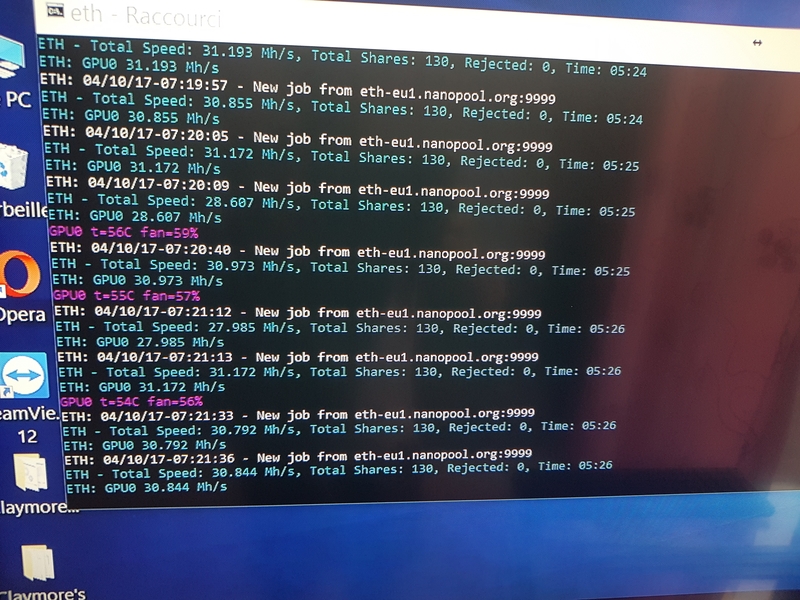 @ccacciavillan do you use one rx480 to make 0.25 eth per day ? 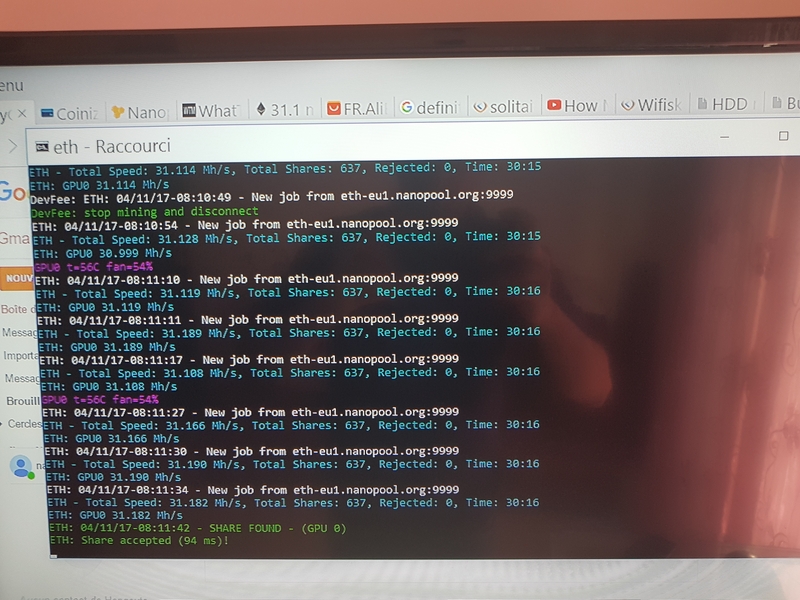 What pool are u mining ? 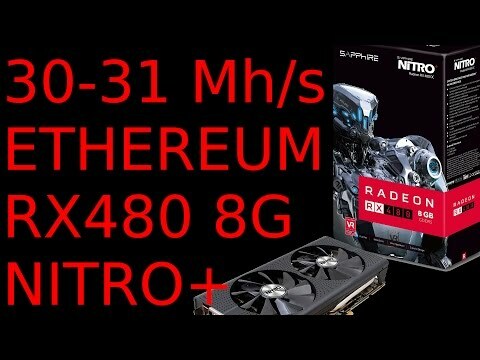 Because with one rx480 i make 0.05 eth !! !